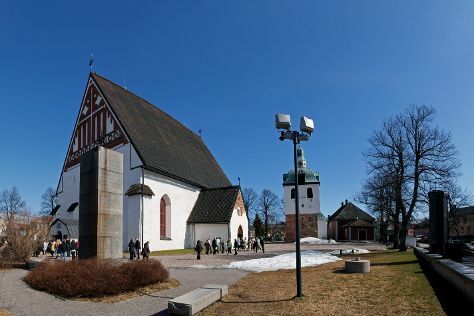 Kick off your visit on the 9th (Mon): examine the collection at The Finnish Railway Museum, get some fabulous bargains at Brunberg Candy Factory Shop, then stop by Riimikko, and finally contemplate in the serene atmosphere at Cathedral of Porvoo. Keep things going the next day: contemplate the long history of The Runeberg Home, then admire the masterpieces at Jarvenpaan Taidemuseo, then admire the masterpieces at Halosenniemi Museum, and finally see the interesting displays at Lotta Museum. To find maps, more things to do, other places to visit, and tourist information, read Porvoo road trip planning website . If you are flying in from Australia, the closest major airport is Helsinki Vantaa Airport. In September, daily temperatures in Porvoo can reach 18°C, while at night they dip to 9°C. Finish your sightseeing early on the 10th (Tue) so you can travel back home.